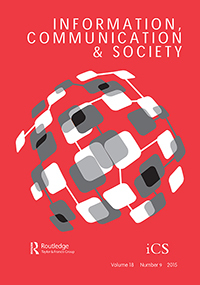 New publication by Michael Hameleers and Toni van der Meer in Information, Communication and Society. Click here for the article. Abstract: In today’s media environment, the flow of incoming information can be overwhelming. Citizens are exposed to both congruent and incongruent information, following each other at a fast pace. At the same time, citizens have the freedom to compose their own daily information diet. This demanding and personalized media environment plays a decisive role in political decision-making. One crucial political evaluation is to assign credit or blame to politicians. In this setting of selective exposure and motivated reasoning, we conducted two experiments (N = 1,117) to test how forced versus selective exposure to mixed congruent-incongruent news articles and fact checkers on immigration (Study 1) or climate change (Study 2) affects citizens’ evaluations of responsibility. The key findings expand extant research that identified partisan biases in citizens’ responsibility perceptions: People select and process partisan information in a biased way to reassure partisan identities. A key democratic implication is the prevalence of citizens’ defensive motivation when assigning responsibility.